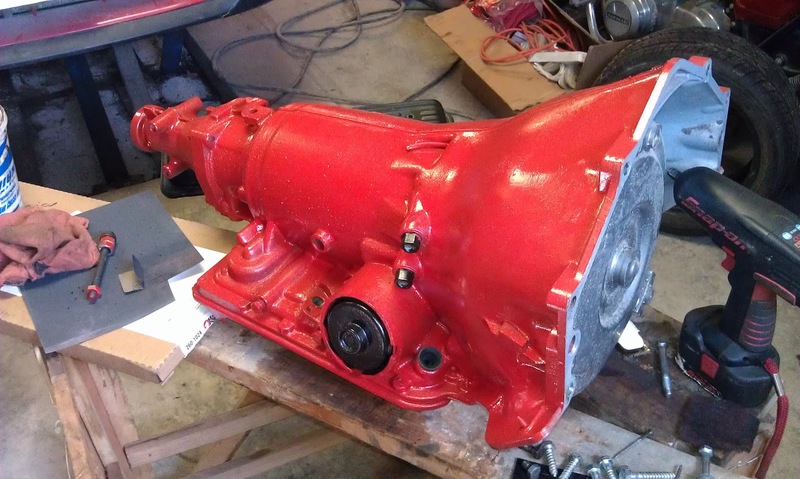 I stopped by Troy's shop after work to take some pictures of the painted transmission. It now has a few parts accented in black. I am really loving the red if for no other reason than it will be different. 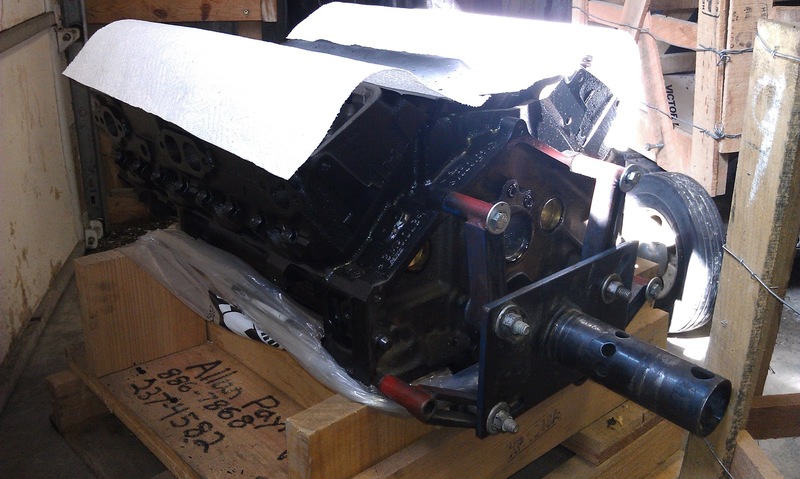 Joel has uncrated the engine now too and has started working on the valve covers. 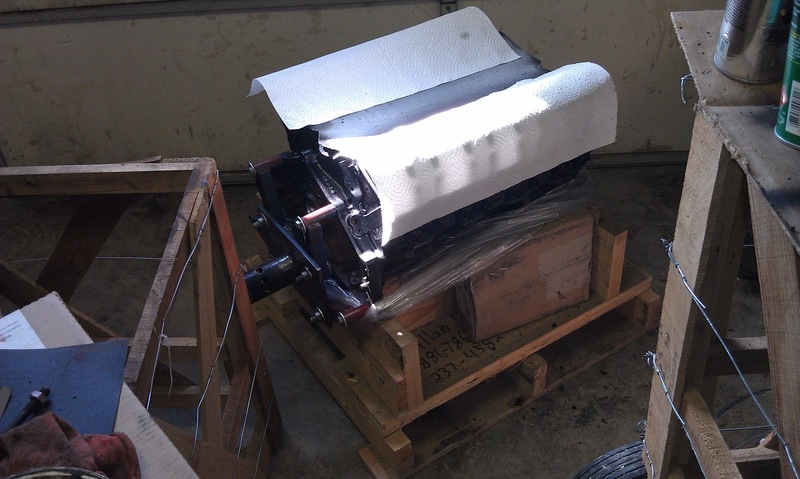 When the engine was rebuilt they were supposed to have painted it red, but there was a mix up and it was painted the standard black. 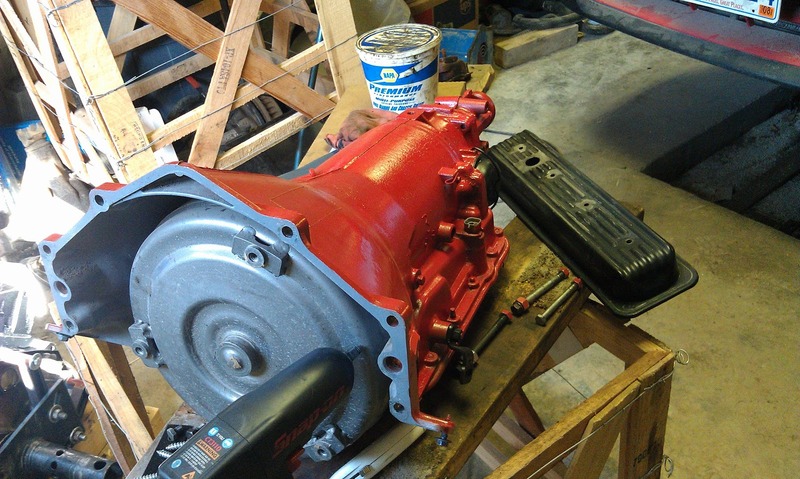 Joel will be repainting it red to match the transmission.